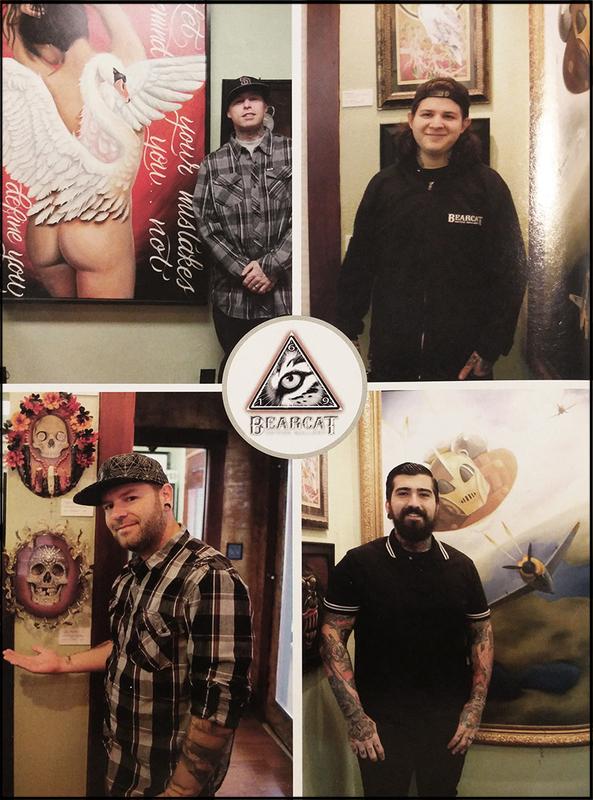 Owned and operated by Sierra Colt, Bearcat is the artistic residence of Sierra Colt, Chad Whitson, Alonzo Villa, Nate Anderson and Matt Heinz who are a trendy collection of incredibly talented tattoo artists with passions for fine art. 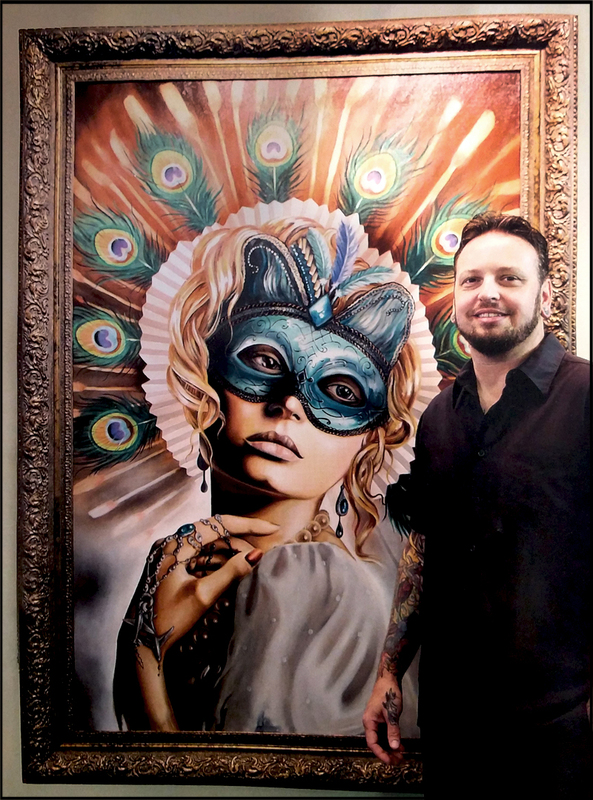 Located in the heart of Little Italy because that community inspires the tattoo artists, Bearcat gives body art the life it deserves while mind-blowing—and I do mean mind-blowing—art adorns its walls. 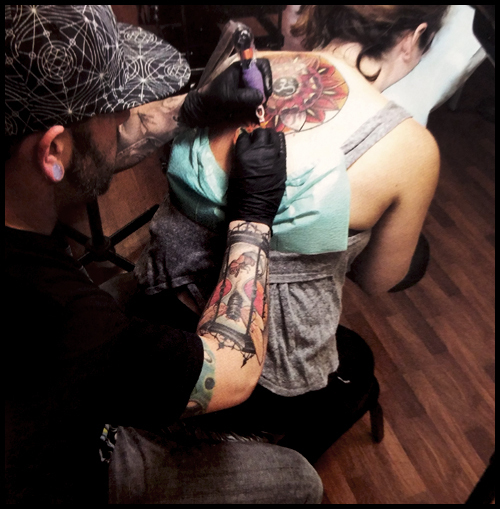 One walks into an art gallery described as “relaxed” by its resident masters because of its ambiance of warm colors, hip music and lack of clutter and noise associated with most tattoo shops. But with art that left me breathless, I was everything but relaxed. Flabbergasted, mesmerized, speechless and overawed, yes, but relaxed would have required chamomile tea and a budget to bring several pieces home. 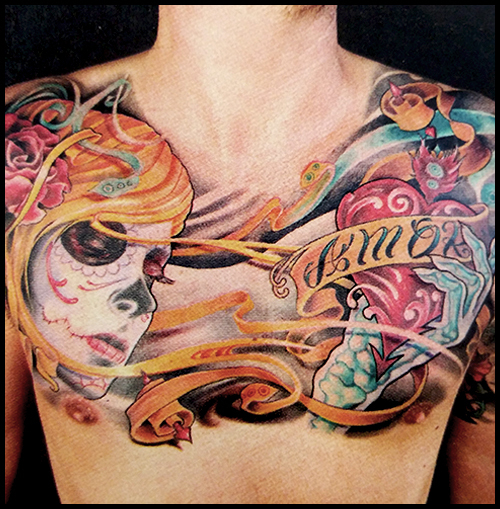 The dudes are smart, the gallery’s rad, and nothing within eyesight is considered out of reach as a tattoo. 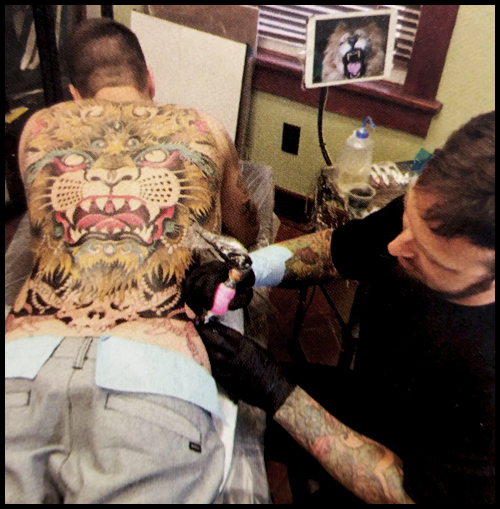 Tattoo sketches are neatly hung at respective stations along with an easel and painting in progress. And Bearcat’s really quiet. Screeching, high-pitched, buzzing coil machines have been replaced with silent rotary motor machines. 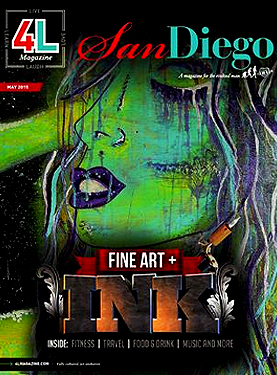 Tatted by the likes of these artists may just be the new black. And yet talk to any one of them and you discover these are the gentlemen you want your daughter and sister to marry. 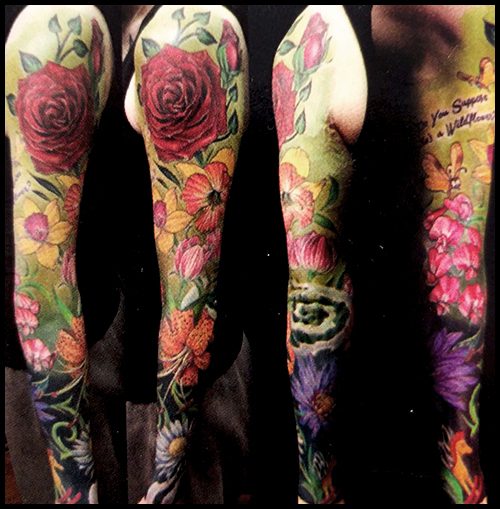 Choosing the unchosen may just be harder than choosing one’s tattoo.